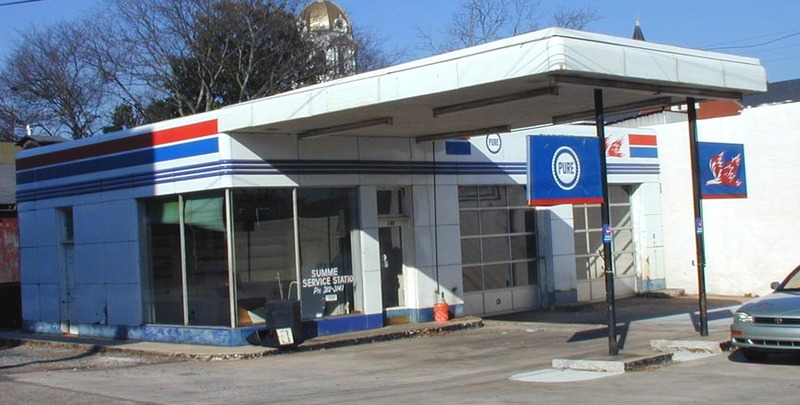 This former Sinclair station appeared vacant when these photos were taken in 2009. 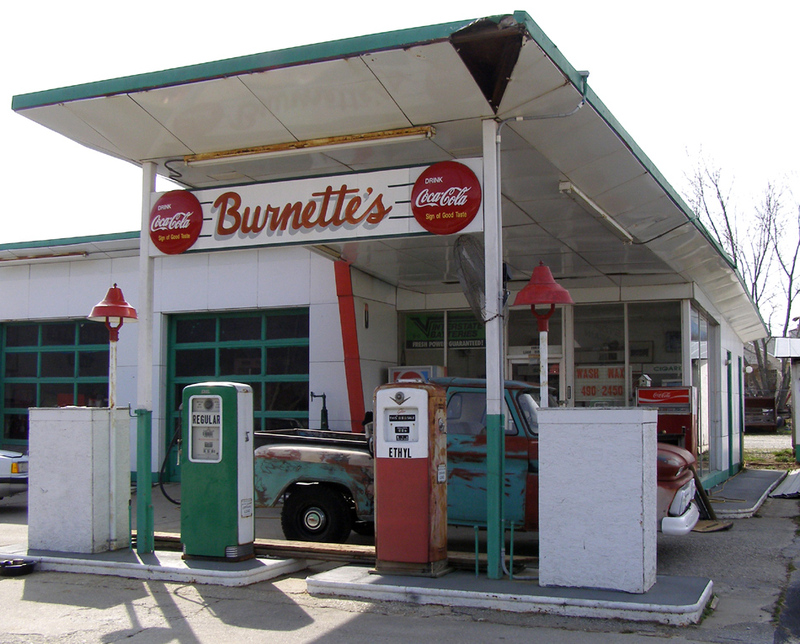 I'm told that the station has been demolished. 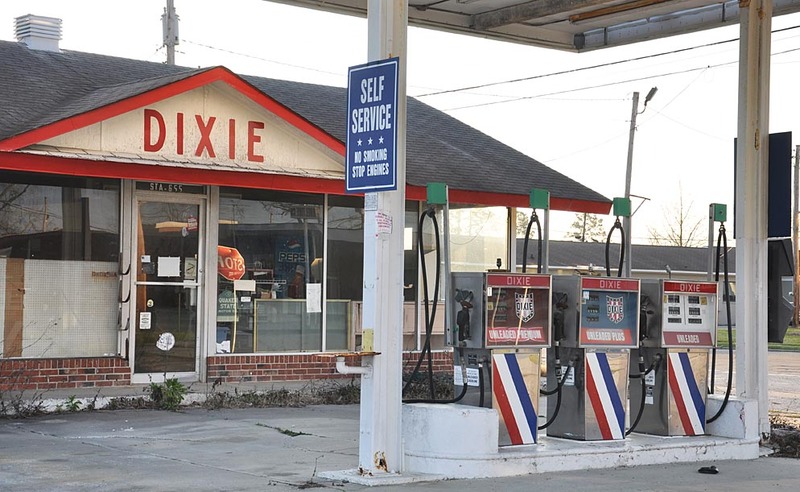 These four Dixie stations are not so much noteworthy for their building designs but rather for the scarcity of the company's signs at this point. 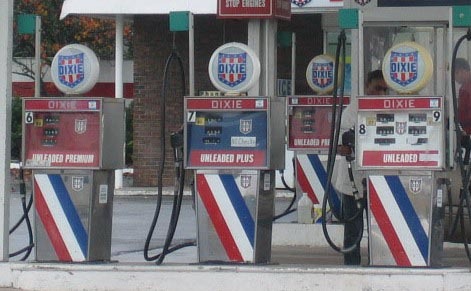 The Alma and Swainsboro stations were both closed but their plastic signs were still there in 2007. 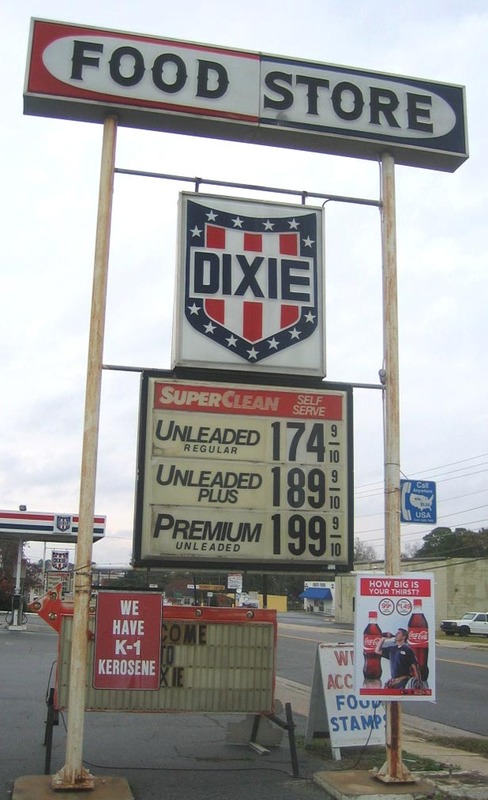 I don't know if these signs or stations are still there. 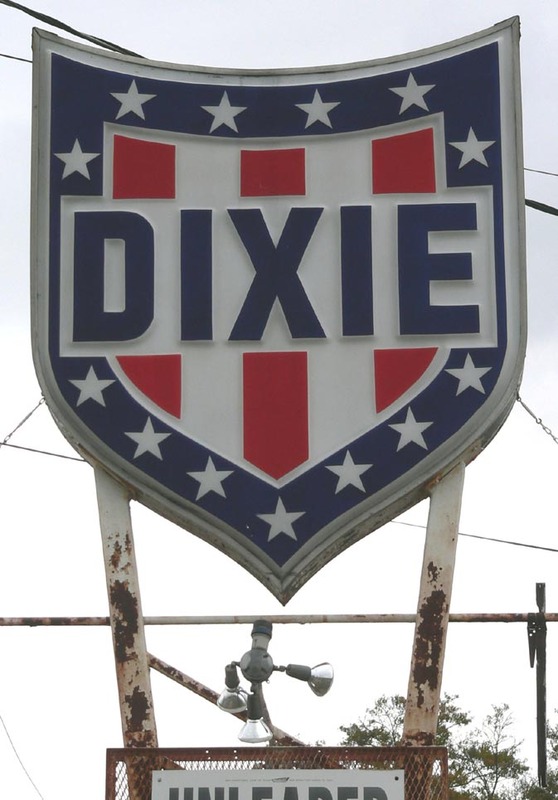 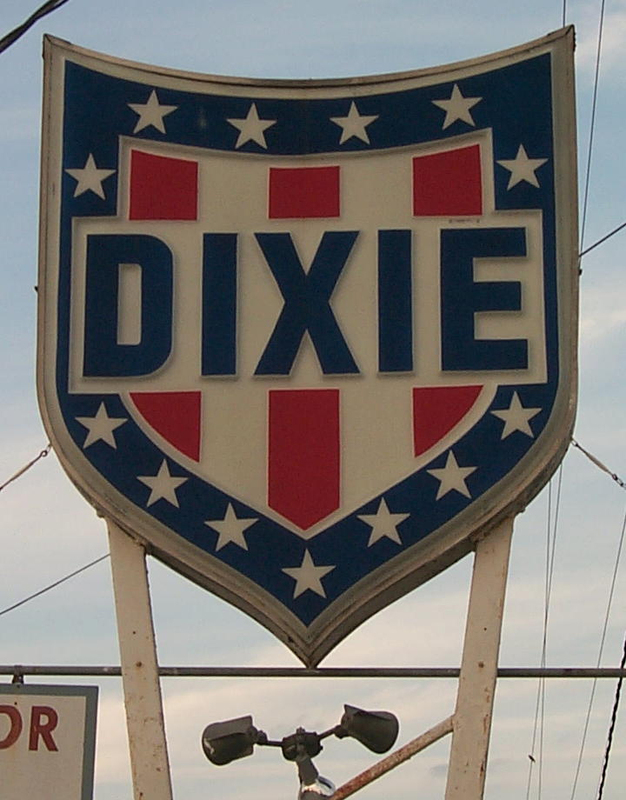 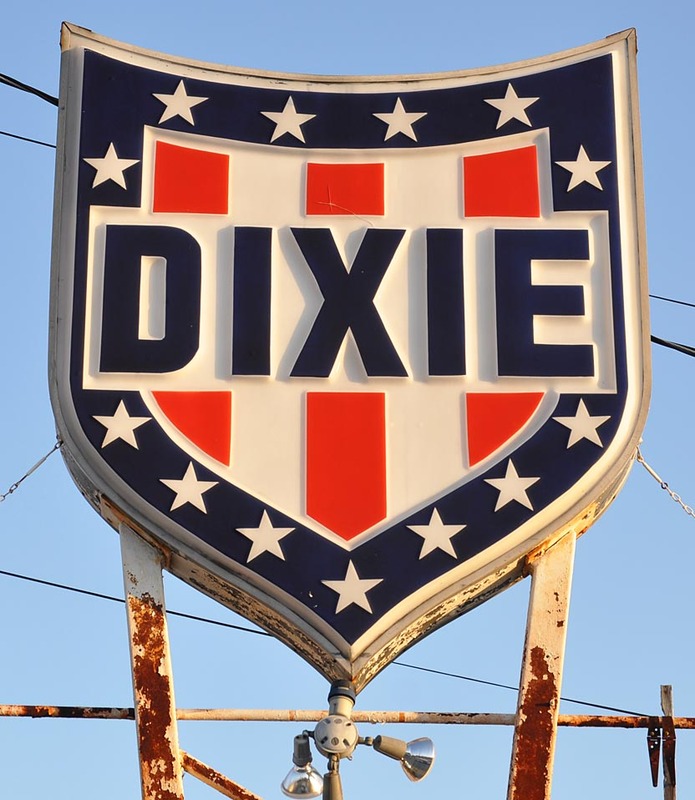 There was a neon Dixie sign in Meridian, MS.